Coinbase is an American company that provides an easy-to-use service for buying and selling cryptocurrencies such as Bitcoin, Litecoin, and Ethereum. The company was founded in 2012 and is based in San Francisco, California. Coinbase serves customers in over 30 regions around the globe in addition to the United States. What Can I Do On Coinbase? Coinbase is a service used for buying and selling cryptocurrencies. Users can buy cryptocurrencies by connecting their bank account, credit card, or debit card to their Coinbase account and making a purchase in much the same way someone would buy something on another online store such as Amazon. Users can also use Coinbase to sell their cryptocurrency by converting a chosen amount of cryptocoins to U.S. dollars at the current value and transferring it to their connected bank accounts. While buying cryptocurrencies on Coinbase is open to most major regions, selling is unavailable to users from Australia and Canada. Coinbase also offers a service to businesses to help them accept Bitcoin payments from customers and clients. Which Cryptocurrencies Does Coinbase Support? Coinbase supports Bitcoin, Litecoin, and Ethereum and Bitcoin Cash plus a variety of unspecified new cryptocurrencies in the future. Coinbase is considered to be one of the safest and most-trustworthy places to buy and sell cryptocurrency online. The company is based in San Francisco and has financial backing from established companies such as Mitsubishi UFJ Financial Group. Ninety-eight percent of customer funds are kept in offline storage and all user funds on Coinbase are insured against website security breaches or hacks. The company's insurance policy is set up to fully reimburse users for lost funds during a potential hack. It does not protect funds which are stolen from individual accounts due to user negligence such as giving someone else access to their account, sharing login information (such as username and password), or not enabling security features such as two-factor authentication. Why Are There Buy Limits on Coinbase? Coinbase does place buy and sell limits on accounts to help prevent against fraud and increase account security. The buy and sell limits are generally increased when more user information, such as a phone number and photo id, is added to the account and after the account has performed several transactions. These limits are enforced automatically by the Coinbase system and are generally not changed by company support staff. Why is This Exchange So Popular? Coinbase is popular mainly because it was one of the first companies to offer Bitcoin buying and selling services. It simply saw a need in the market, filled it, and has had more time to integrate new features that set it apart from its rivals. Another reason for Coinbase's popularity is its user-friendly design and simplified buy/sell process. Coinbase users aren't required to manage their own hardware or software cryptocurrency wallets which can often intimidate people who are new to cryptocurrency. Also, after the initial account setup is completed, buying and selling cryptocoins can be performed in a matter of seconds. What Countries Does Coinbase Support? Coinbase supports the buying of Bitcoin and other currencies in 32 countries including the United States. The selling of cryptocurrencies is only supported in 30 countries though, including the U.S.
Are There Official Coinbase Apps? Official Coinbase mobile apps are available on iOS and Android mobile devices and tablets. Both versions support basic buy and sell functionality and are frequently updated. There is no Coinbase smartphone app for Windows phone; however, the website can be accessed via a web browser on all mobile devices. How Much Are Coinbase Fees? Creating and maintaining a Coinbase account is completely free. Fees are charged, however, for specific actions. For buying and selling cryptocurrency on Coinbase, a service fee ranging from 1.49% to 4% is charged depending on the payment method selected (bank transfer, credit card, or PayPal) and the volume of the transaction. Fees are always listed on Coinbase before the transactions are finalized. 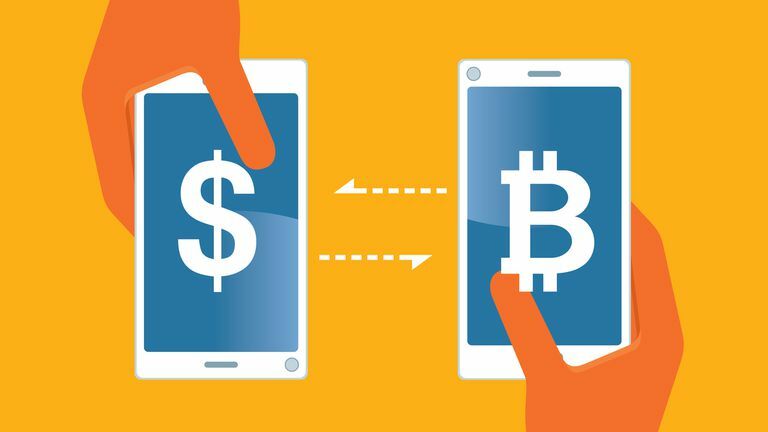 Coinbase does not charge fees for sending cryptocurrency from Coinbase accounts to software or hardware wallets however the currency itself will deduct a fee to ensure the transfer is processed on the relevant blockchain. Coinbase runs a comprehensive support page which details most of the information customers require. For account-specific support, users can use their online support chat service and are also able to submit detailed requests for urgent issues such as security breaches and login problems. What's the Deal With Ripple?